Happy New Year everybody! It feels like we’ve collectively *blinked* and somehow we’ve traveled around the sun once again. Not to say that this year hasn’t been, err, how should I put this… eventful, just to say that the minutes drag and the years fly. And now, here we are in 2018. While most of us took some time right after the holiday to reflect on this past year I have been one of the ones that has barely had time to think straight since November. So we’re dedicating January to something that’s more than necessary for your mind and heart, something that’s vital really. This month’s #TreatYoSelfTote has been curated around the word Reconnect. More than just with the people you love or the things you’re going to do, but mostly with yourself. This isn’t about setting reading goals or transformations, this is about finding the happiest YOU! And what better way to do that than with exploring the Danish lifestyle of Hygge (hoo-gah)? 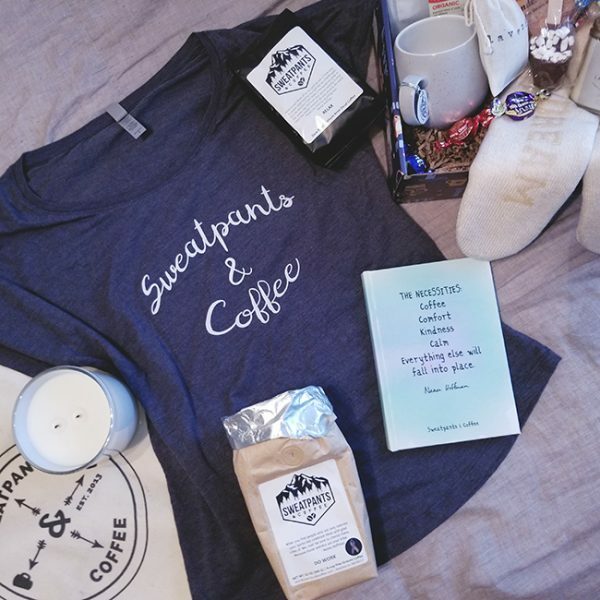 So we’ve partnered with The Hygge Box to bring you a cozy tote that’ll start the year off with a warm hug from our Sweatpants & Coffee Family to yours. This tote is packed with everything you will need to start this year off with Hygge. Not super familiar with Hygge? It’s the Danish concept of living a cozy, well, and simple life. It’s about surrounding yourself with all things hygge, like candles, soft blankets, warm beverages, books. Imagine the coziest of cozy places, whether it’s your own bed or a sweet little cabin tucked into the woods (that’s my happy place), with those you love and little more than good food, good conversation, and lots of laughs. That’s Hygge, and that’s what we’re wishing for all of you for this year. Lots of love, laughter, good food, better drinks, cozy blankets, and great books. And speaking of the written word, did you catch that little beauty right there? 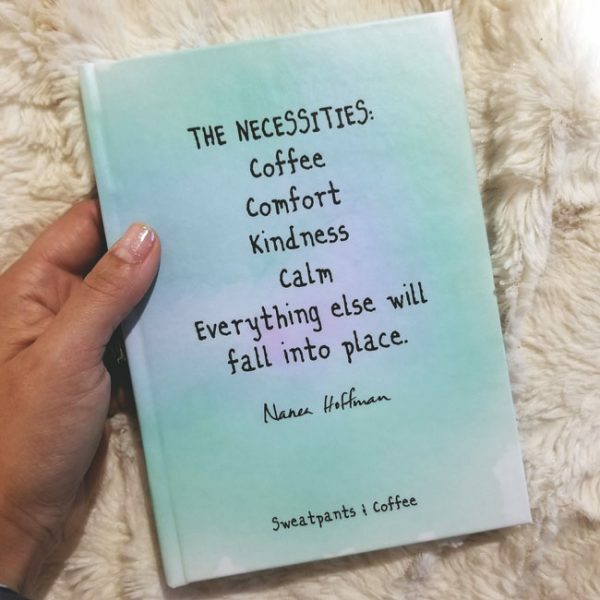 That is are our New Sweatpants & Coffee Lined Journal. What’s Hygge without a candle? 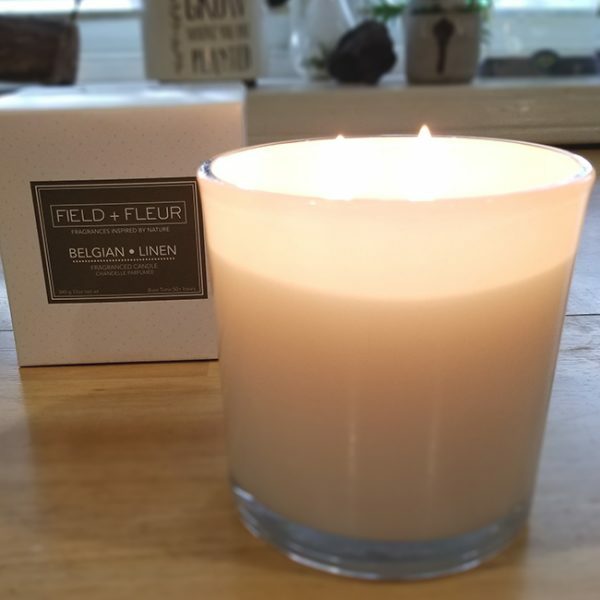 (Not very hygge-y, fyi) This Belgian Linen Candle from Hillhouse Naturals is deliciously fresh. I love being comfy as I enjoy my coffee. So Love This!